Syrtis Solutions provides the payer of last resort market with technology-based solutions to prospectively cost avoid pharmacy claims and increase medical cost recovery. The organization is managed by industry veterans with experience in pharmacy claims processing and claimant recovery processes. The combined and unique experiences of the company’s founders led to the development and deployment of ProTPL, a real-time point of sale cost avoidance service. 1. The challenge of verifying Medicaid beneficiaries’ private health coverage due to the lack of credible data sources. Without reliable data, approximately 13% of all Medicaid beneficiaries who have unreported primary health coverage are costing states billions of dollars each year in health care costs that should be paid for by a third party. 2. The problem inherent with the collection of payments from third parties. Retroactive recovery processes, often referred to as “pay and chase,” are expensive, inefficient and only able to return 17% for every dollar inappropriately spent. In order to address the problems outlined in the GAO report, CMS issued guidance to states in a 2008 Budget Brief that requires states to uphold the health care cost containment and avoidance standard for pharmacy claims and eliminate waivers that permit pay and chase methodologies. Based on this guidance, states have responded by developing coordination of benefits (COB) programs that rely on self-reported recipient eligibility data and/or on stagnant data collected by TPL vendors for pay and chase purposes. This data is incomplete, latent and not sufficient for true cost avoidance. In order to successfully meet CMS’ cost avoidance guidelines, an effective point of sale solution that accesses a real-time national database of health care coverage would be required to cost avoid claims and eliminate the problems attempting to collect monies for claims that states should have not paid in the first place. In 2008, in support of disaster relief efforts, CMS turned to Syrtis Solutions to deploy a real-time pharmacy cost avoidance solution at the point of service (POS) following hurricanes Ike and Gustav. CMS needed a solution that would prospectively cost-avoid pharmacy claims for those patients with other health coverage. The solution accessed it’s data partner’s Master Patient Index (MPI), which houses over 230 million lives, to prospectively identify patients with other health coverage at the point of sale. The Emergency Prescription Assistance Program (EPAP) was a success, cost avoiding 15% of all claims in sub-second transaction times with zero timeout issues and, most importantly, without requiring workflow changes at pharmacies. The cost avoidance solution, ProTPL, used standard industry transactions; had low program administration costs; was quickly and easily implemented; fit the existing workflow practices of pharmacy providers; and, cost avoided pharmacy claims in real-time at the point of sale solving the issues not resolved by current “pay and chase” and TPL methodologies and vendors. Subsequent to the success experienced in the EPAP program, further testing of several states’ Medicaid pharmacy claims data demonstrated that between 6% and 13% of the claims had other coverage in the MPI. Claims that were tested had already been paid, and thus had been previously subjected to each tested states’ current TPL and COB processes. As such, the results uncovered that there was additional coverage not previously known. As important, the results confirmed the GAO report’s conclusion that current processes are inefficient. As such, and as a result of health care reform, verifying coverage for Medicaid Managed Care Plans’ members being dispensed brand named and rebatable prescriptions is extremely important to mitigating issues that could inevitably arise with rebate filing submissions. Steve Konsin is responsible for Syrtis Solutions’ leadership direction. Before founding Syrtis, Steve, a licensed pharmacist, has held executive leadership positions at several fortune 500 companies and operational management positions in leading retail and mail service pharmacies, pharmacy benefit managers, and specialty pharmacy organizations. 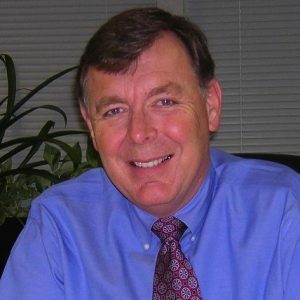 Steve has spent his career dedicated to the business of pharmacy, which includes expertise in management of operations, information technology, clinical programs, account management, marketing, sales support, reporting, network management, specialty and mail service distribution, customer service, formulary design, and rebate management.